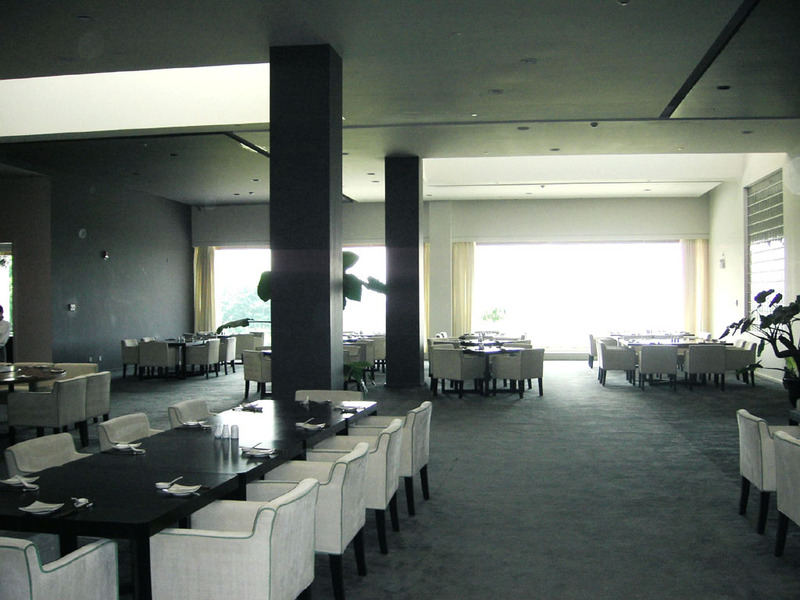 Designer Ronald Fream, Golf Plan Inc. 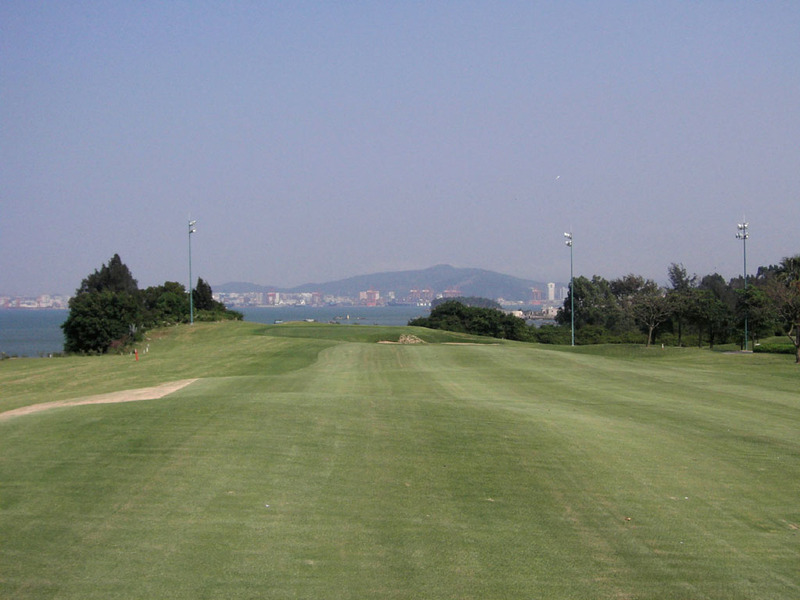 This course is built along the seashore looking over Xiamen Island with a backdrop of mountains. 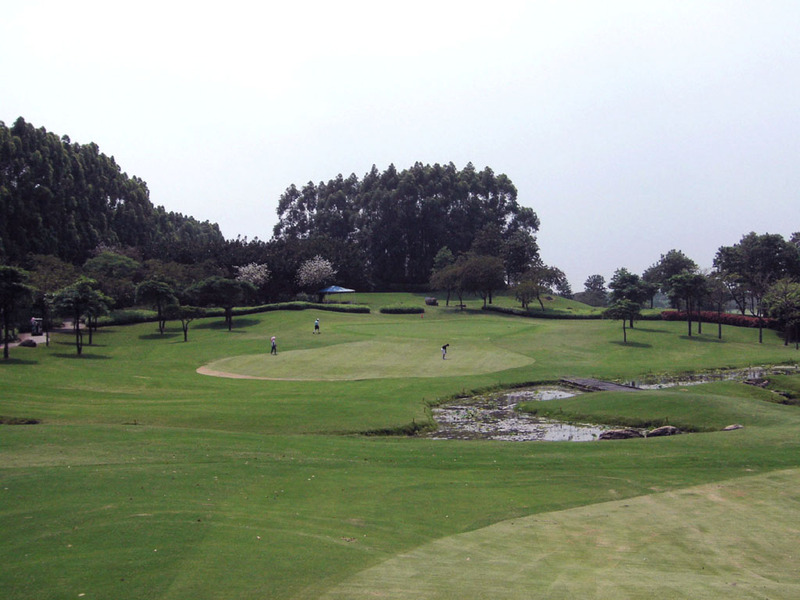 The course extends onto mountain slopes from where you can enjoy scenic sea views. 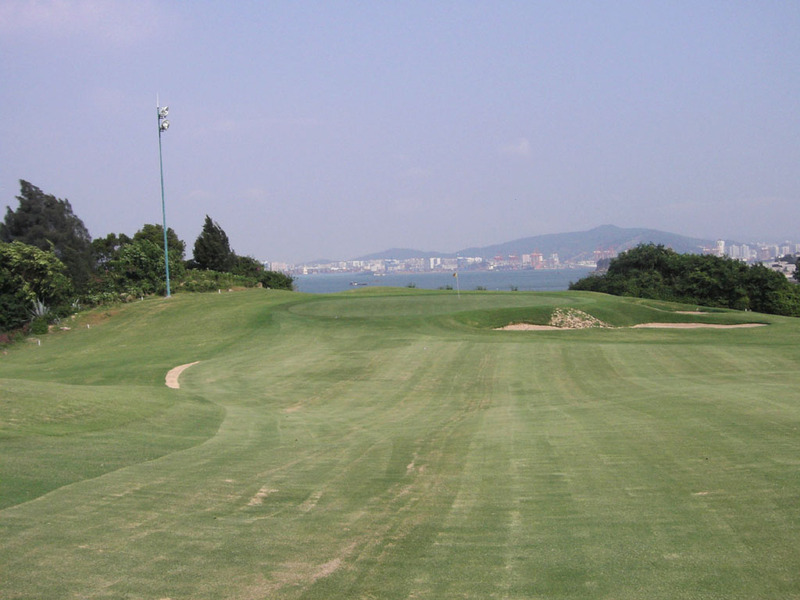 There are some holes where you can see the sea, some holes facie cliffs, some holes on hillsides and others that are separated by woods, so each hole varies widely. 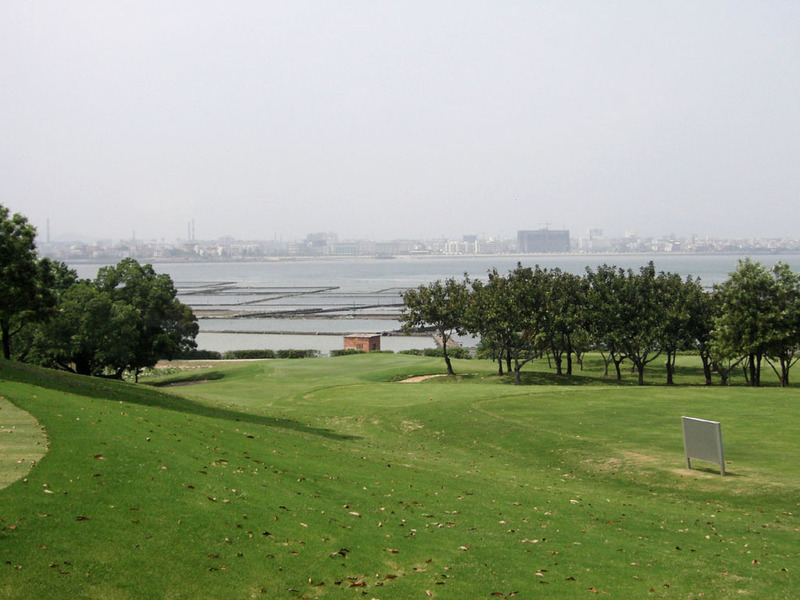 The layout of the lakes and the use of the seashore is excellent, which makes the course challenging. 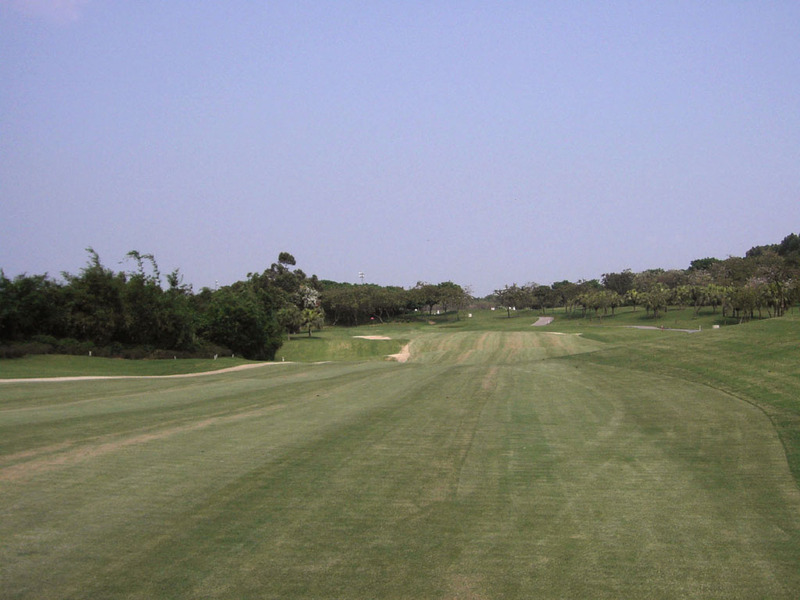 A long par 4 with OB on the left. The second shot is a little downhill over a creek. 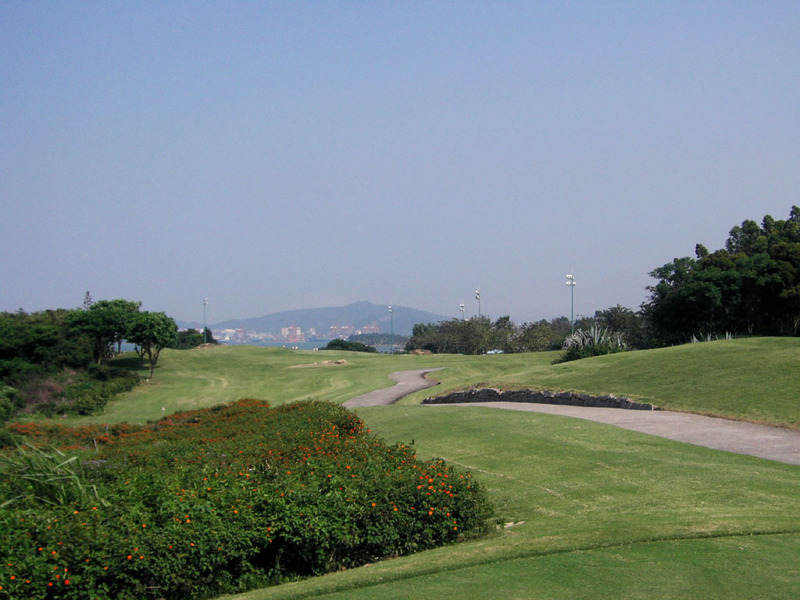 A downhill par 3 hitting toward the sea. A bunker in front of and a slope on the left of the green come into play. 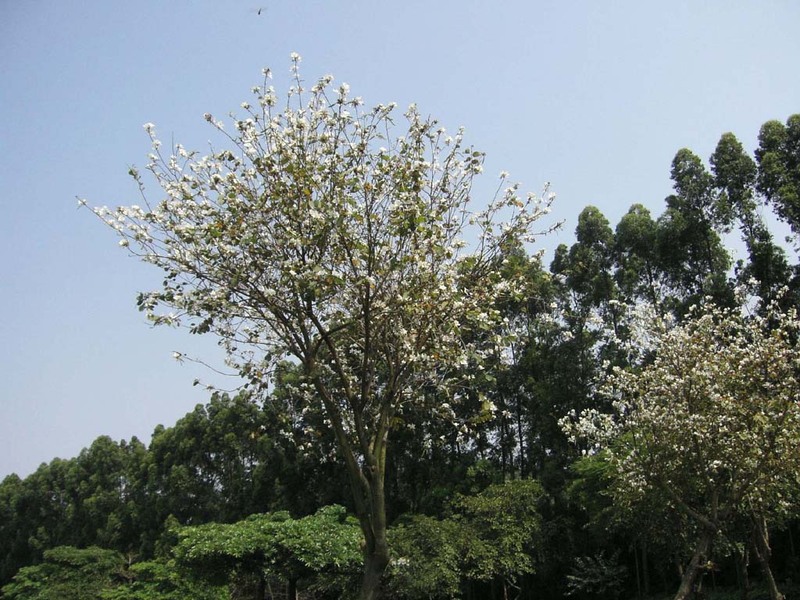 There is a 550-year-old commanding big tree called “Fujian Province Tree“ next to the green. 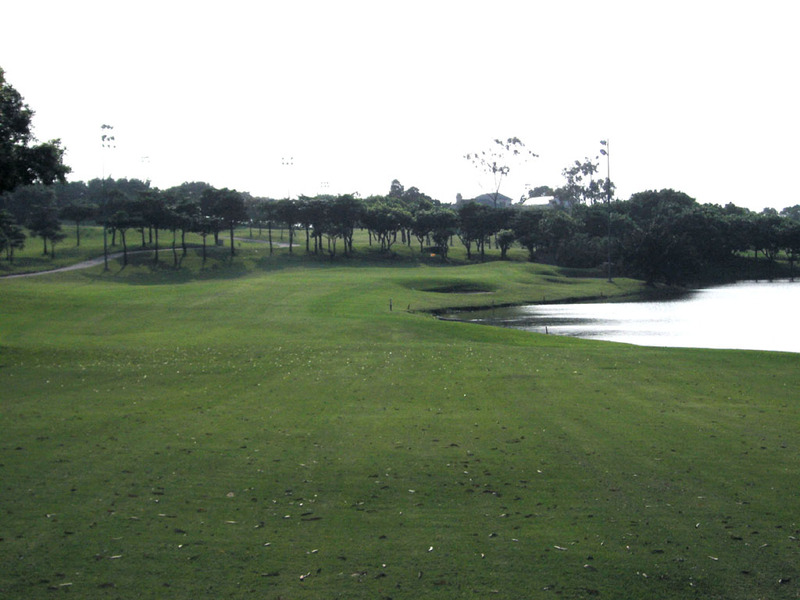 A straight par 5 with the green a little to the left. 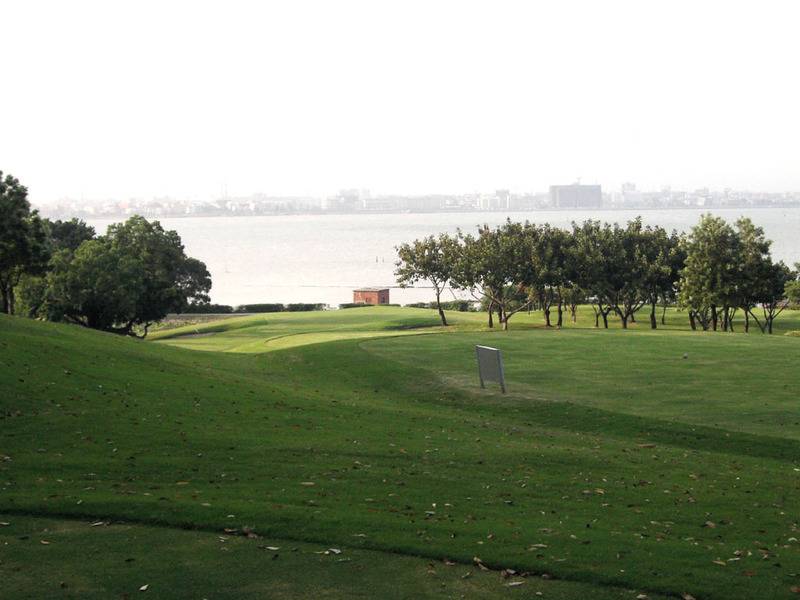 An OB extends from the tee to the green on the left and the fairway is weaving. Long hitters can reach the green in 2. 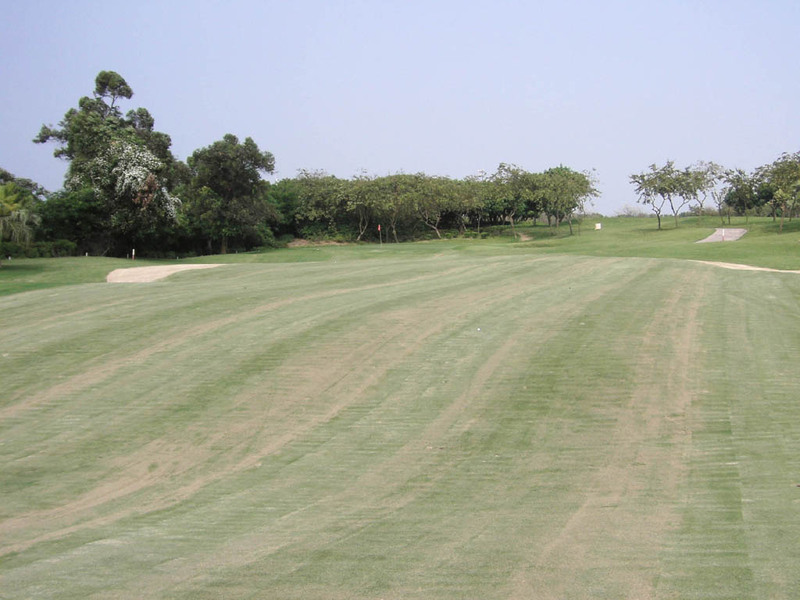 However, they have to make a decision whether they go for the green or lay up on the second shot because an OB guards the left of the green if the second shot curves from the right to left, even slightly. 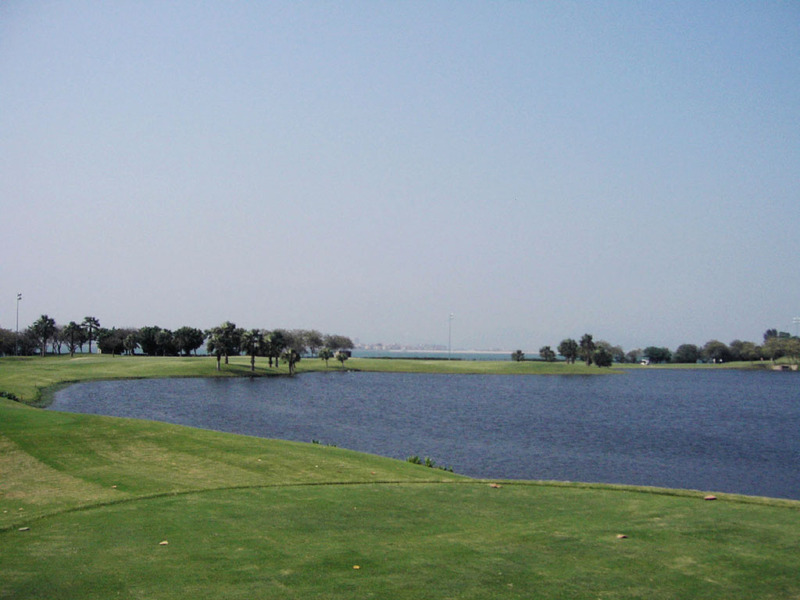 An almost 90 degree dogleg to the right along a big lake. 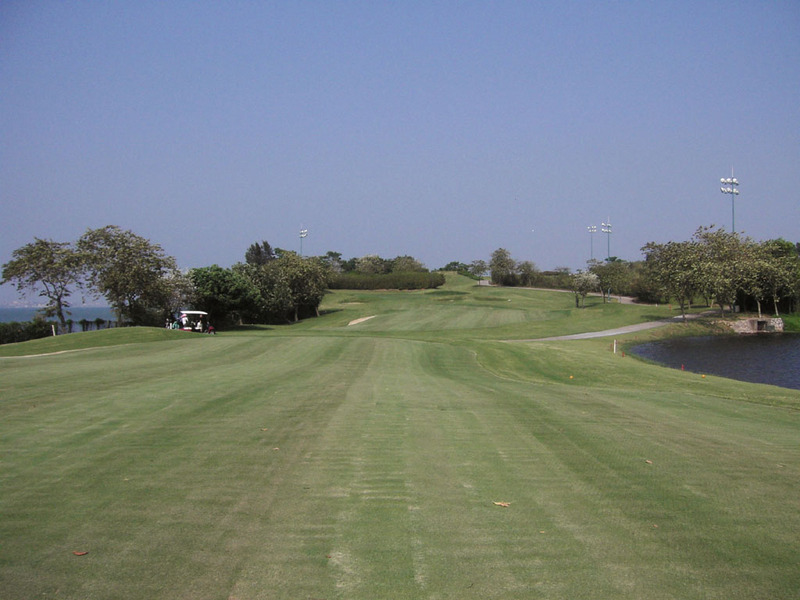 To make a short cut, you need to carry over the fairway, 230 yards off the tee. When you have an accurate 260-yard drive, it is reachable in 2 since the second shot is just 200 yards or so. However, the second shot is demanding because of the OB on the left and a hazard on the right. When you lay up, a precise second shot is needed, too. A straight hole on a cliff with the sea on the left. 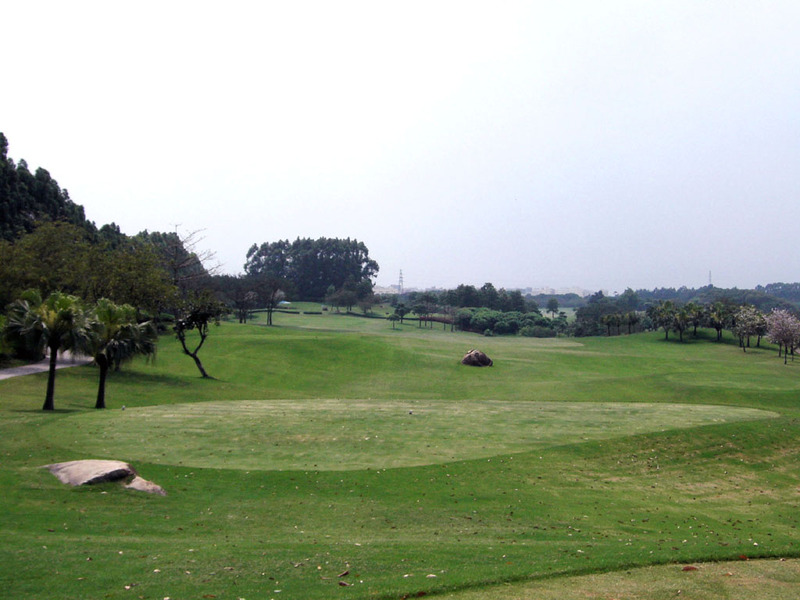 There is an OB on the left off the tee, so it is much safer to aim along the right half of the fairway. 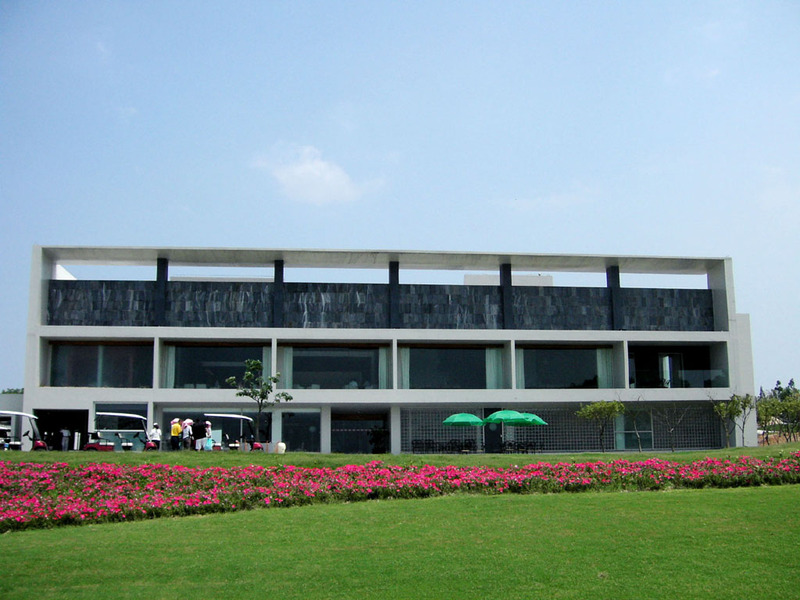 The green is elevated and slopes steeply from back to front. An almost straight hole . 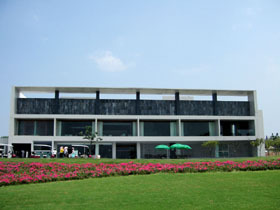 The right half of the front side of the green borders a lake. 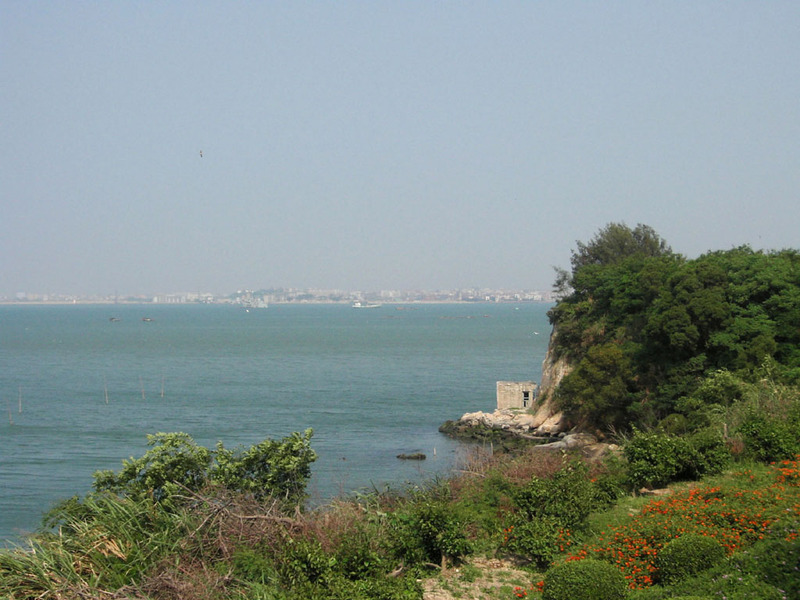 It takes 20 minutes from Xiamen and 30 minutes from the airport by car. 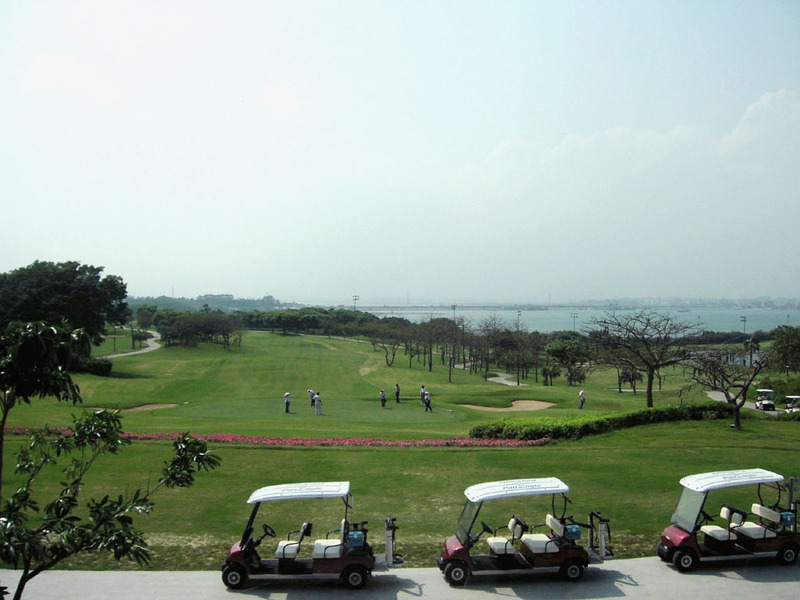 Xiamen is an island and doesn’t have any golf courses inside the city. 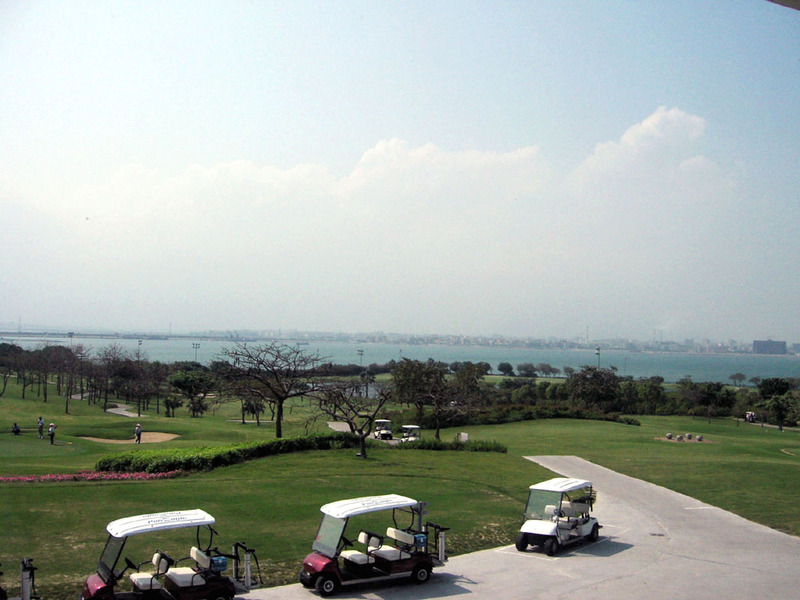 All the golf courses are on the mainland, across the sea. 9 holes are lit for night golf. 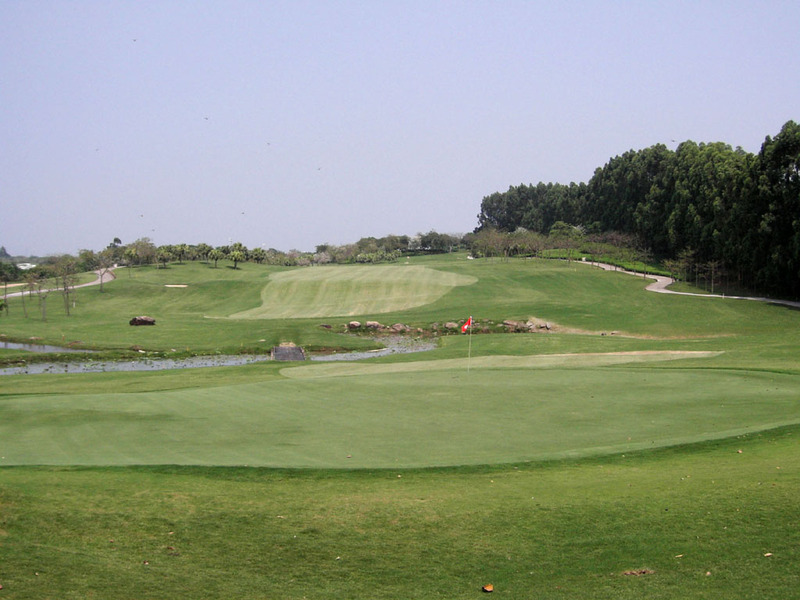 We arrived at the Xiamen airport around 2:00 p.m., my friends from Tokyo and myself from Hong Kong, and we could finish 18 holes without any problems. 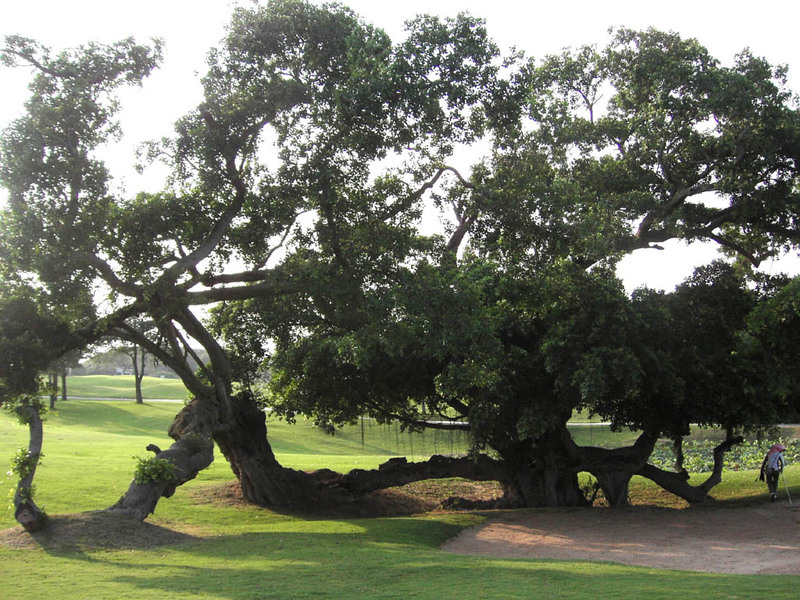 You can enjoy watching various unique and flowering trees on the course. 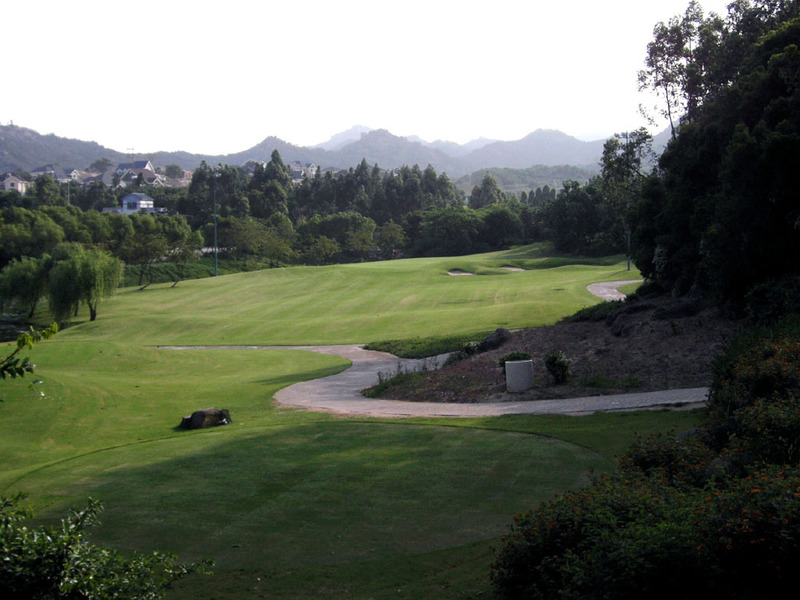 The course was originally 6954 yards long but the longest black tees are not placed and even members can’t play from the tees, so you need to actually hit from the 6458 yard long blue tees, 500 yards shorter. 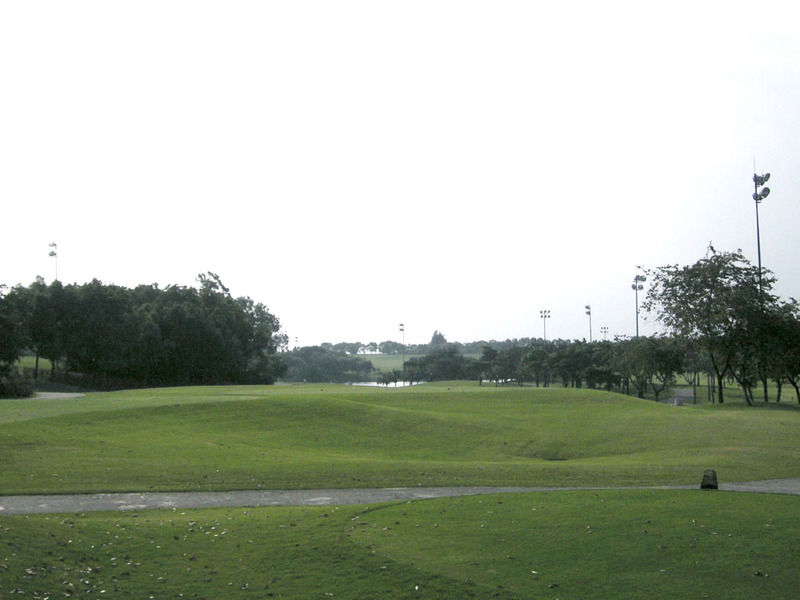 Consequently, the course rating drops from 73.7 into 71.6. It is a little regrettable that I used only wedges or short irons on most par 4s because they are much shorter than the original design. 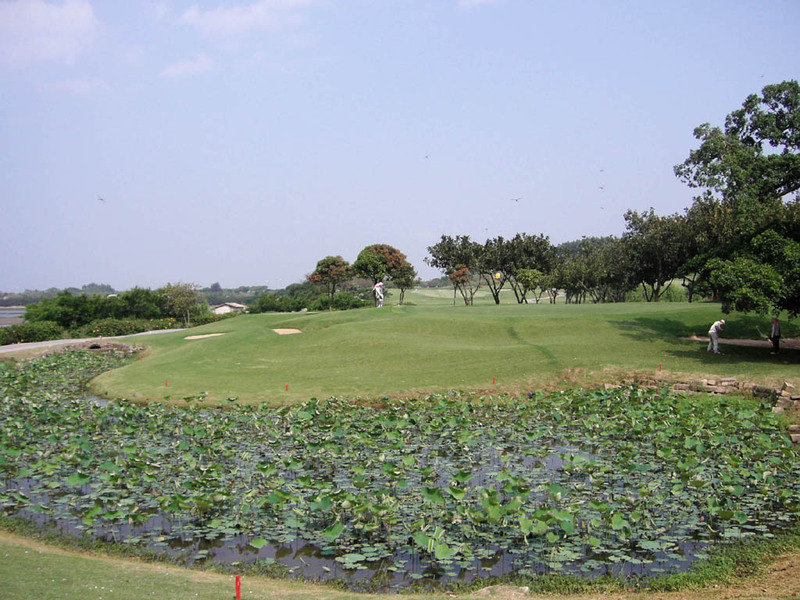 I think that the black tees should be opened to single handicap players. 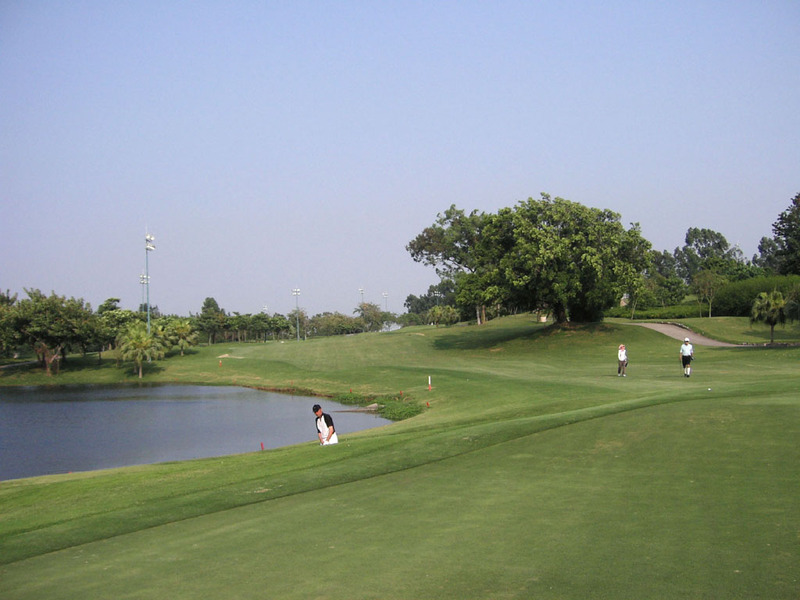 The other Roanld Fream designed golf courses in Asia are Saujiana G&CC, Kelab Golf Perkhidmatan Awam, Awana G&C, Karambunai RGC, Bangi G&CC, Bukit Unggul G&CC and Damai　Laut G&CC in Malaysia, Mountain Shadow GC and Windsor Park GC in Thailand, Asiana CC and The Club At Nine Bridges in Korea, Bonari Kogen GC in Japan, Tianjin Warner GC, Weihai Point H&GR, Grand Shanghai International G&HR, Qiandachu CC, Grand Dynasty GC, in China, and Royal Brunei GC in Brunei.